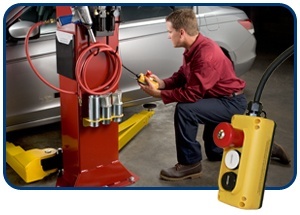 Two post lifts are as important to the automotive repair industry as the telephone has been for communication. Their importance is measured in time saved, efficiency and let’s face it, there is no easier way to service a vehicle than suspending it in the air with a two post lift. 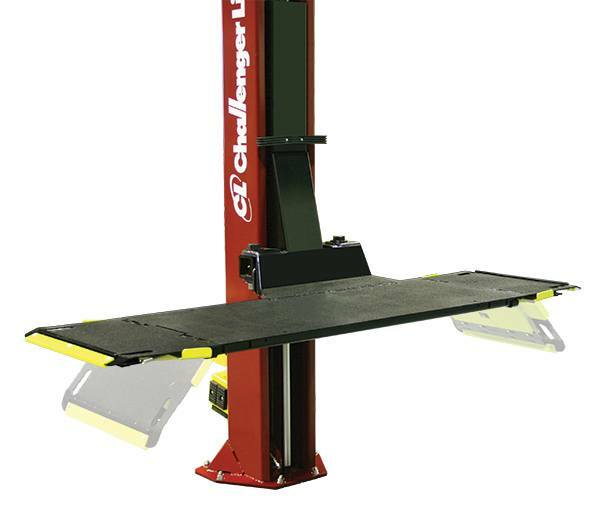 Now, there are handful of brands all offering an impressive line of two post automotive lifts but today we’re going to talk about Challenger Lifts and their CL10V3 Versymmetric 10,000 lbs two post car lift. 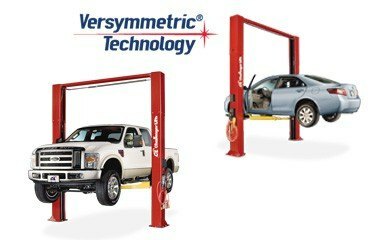 One of the first things people ask about the CL10 and Challenger Lifts in general is “what is a Versymmetric lift and why are they the only ones that advertise?” Challenger Lifts’ Versymmetric technology is their answer to the growing debate as to whether repair shops should go symmetric or asymmetric when it comes to their two post lifts (learn the difference between the two here). Challenger Lifts opted to create a 2 in 1 lift. In layman’s terms, it’s a two post lift that may be adjusted to be either of the two, making the lifting of cars and trucks easier with just a few simple adjustments to the lift. Challenger Lifts has been an industry leader for generations and it is their CL10V3 series that has made them stand out on top when it comes to two post lifts. In addition, the CL10V3 like the other two members of the series, comes standard with offset 3-stage front arms which allows them to be packed in an asymmetric lifting position, rear of the front tires. 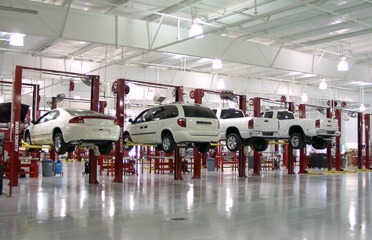 What separates this lift from its competitors is, when the vehicle is driven through, the front arms perform a function known by Challenger Lifts as directSPOT which simply means the user doesn’t have to reposition the vehicle or move back and forth in order to reach its recommended lift points adding even more convenience. The CL10V3 DPC or Dual Pendant Controls expedites vehicle spotting by providing an unobstructed view to lifting point through a portable power control that can be connected to either post. 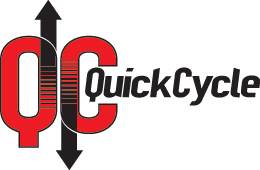 The Cl10V3 QC or Quick Cycle increases the rise speed of the lift from 48 to 27 seconds making it the fastest car lift in the market. Platform superstructure specifications are based on CL10 lift installed at 110” width. * Three different platform lengths represent having (0) ramps, (1) ramp, or (2) ramps flipped up to extend platform. The CL10V3 is one of the most versatile lift out in the market at this time, 100% American Made and with different options where you will be able to personalize your lifts and maximize productivity at your shop. If you have any questions about which of these CL10V3 Lifts is the best one for you feel free to call us or write us below for more information.